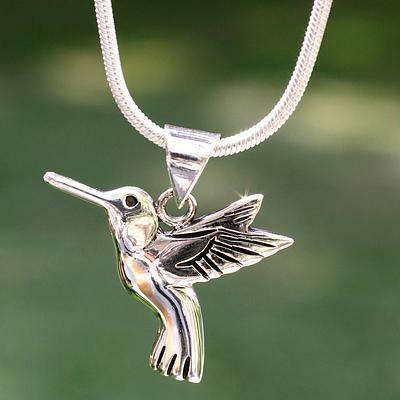 Hummingbird jewelry makes a wonderful gift because of its beauty and strong symbolism. Do you know someone who is fond of hummingbirds? 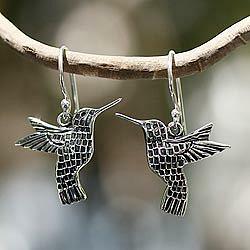 Hummingbirds are gorgeous birds and extremely popular, commonly known to symbolize love. What could be a better gift? As a symbol of your affection any lover, friend, parent, sister, brother, child, cousin or special someone would enjoy and appreciate the special message of love conveyed in this way. Hummingbirds are also known as a symbol for re-opening the heart that has been closed by pain. 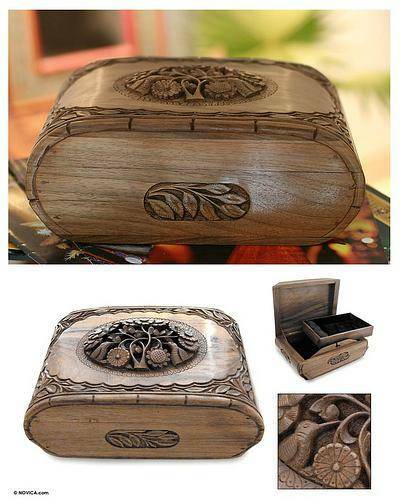 This gift would be appropriate for anyone who is grieving the loss of a loved one. Perhaps you would like to regain the affections of someone special. 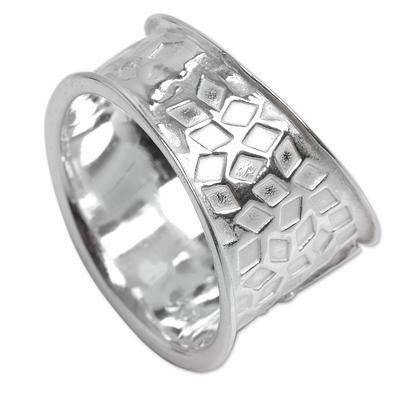 Give this jewelry as a way of conveying that sentiment. Hummingbirds eat the sweet nectar of flowers and feeders. “Life is to be savored” is another meaning attached to hummingbirds. For example, as a romantic idea while on a vacation, present your loved one with this jewelry to represent savoring the sweetness of life together. These tiny birds never seem to stop. As a result, they are sometimes regarded as symbol of perseverance. Do you know anyone who deserves to be rewarded for never giving up? It is interesting that hummingbirds do not flap their wings up and down like other birds. In order to hover in place, they have special shoulder joints that allow their wings to move in a circular pattern resembling the infinity symbol. Also, at night, when it is cold, hummingbirds go into a hibernation like state to maintain body temperature. On account of this, hummingbirds are thought to symbolize eternity and everlasting life. 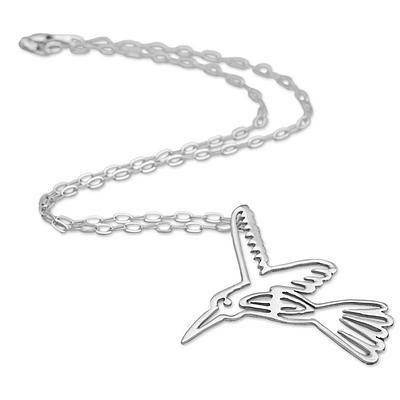 Hummingbird jewelry makes a nice spiritual gift. 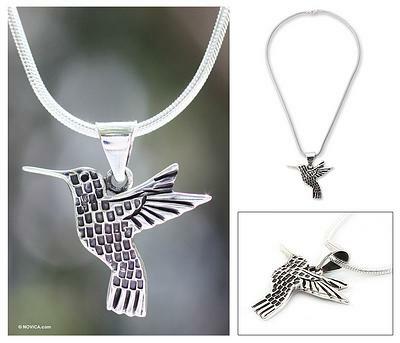 For many occasions hummingbird jewelry can be a very unique and special gift. Perched in a tree filled with flowers, hummingbirds bring their magic to this lovely design. 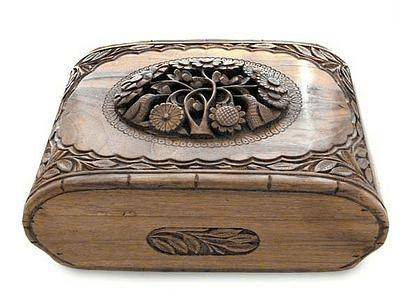 M. Ayub demonstrates his mastery in fine Indian walnut wood, its hard beauty a challenge to wood carvers. The sleek oval coffer is lined in velvet and features a lift out tray with a special place for rings. The box features a magic lock and can be opened by sliding the lower front panel of the box to the right side. A hummingbird hovers amid flowers to feast on their sweet nectar. Portrayed in burnished tooled leather, the graceful images adorn a diminutive chest of drawers for keepsakes and treasures. Oscar Pastor crafts the jewelry box from wood and covers it in polychrome leather with an antique finish. The drawers open with wrought iron pulls. A hummingbird hovers amid flowers to feast on their sweet nectar. 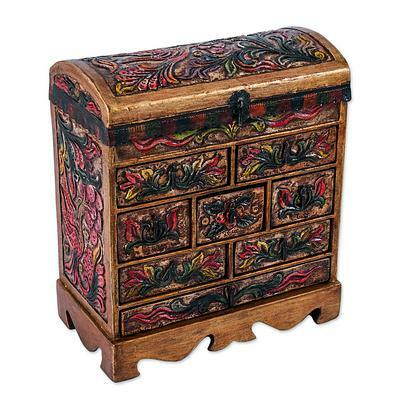 Portrayed in burnished tooled leather, the graceful images adorn a diminutive chest of drawers for keepsakes and treasures. 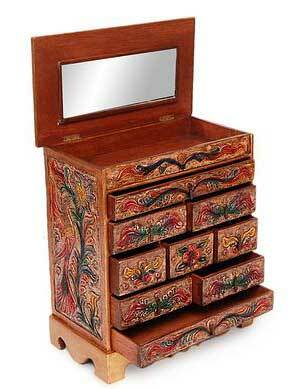 Oscar Pastor crafts the jewelry box from wood and covers it in polychrome leather with an antique finish. The drawers open with wrought iron pulls, and a mirror is set inside the lid. 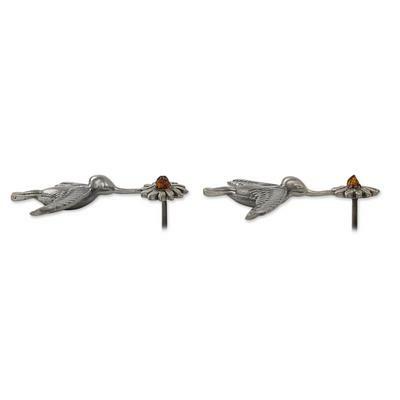 In each of these earrings, four hummingbirds share a single flower, crafted of sterling silver to dangle from the ears with wonder. 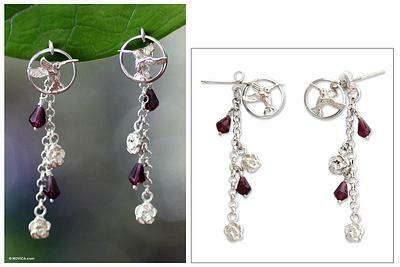 Mexican artisan Flora Maria designs the earrings, accentuating each one with faceted gems of amethyst and agate. 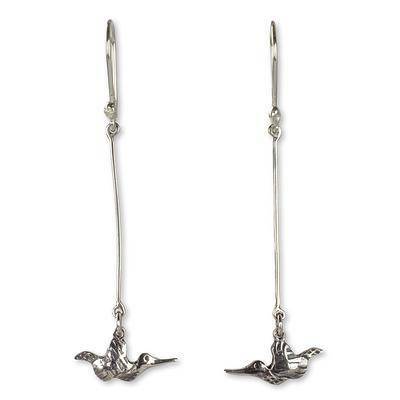 Working in silver, Francisco Sánchez depicts sterling hummingbirds that sip from argent flowers. Beneath, fiery faceted agate hosts a droplet of peridot. The agates total 2.5 carats. Kunio Takeda combines fantasy with elegance to design the happy hummingbird earrings. Crafted of sterling silver, the low relief earrings feature antiqued, brushed and polished finishes as Takeda aims for rustic elegance. 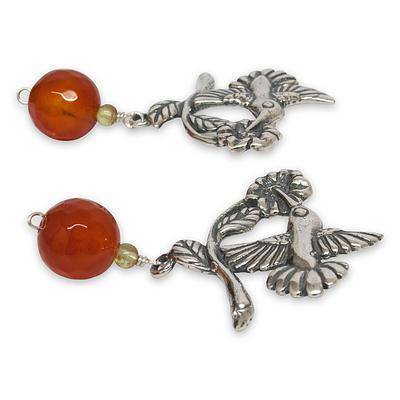 Balinese artisan Rupadana creates these lovely dangle earrings from sterling silver on vibrant red-orange carnelian. 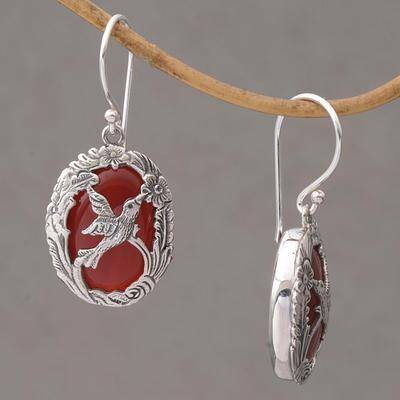 The silver is shaped into an oval of flowers and leaves that encircle the cabochon stones. 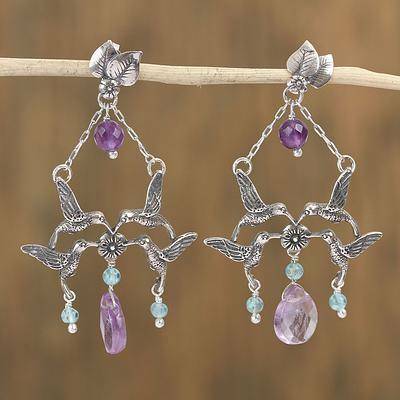 A dainty hummingbird darts across the front of each earring, silhouetted by the gem behind. Seen in silhouette, hummingbirds seek the sweet nectar of flowers in a Mexican garden. Guillermo Arregui handcrafts these lovely earrings from polished copper to be worn on sterling silver hooks. 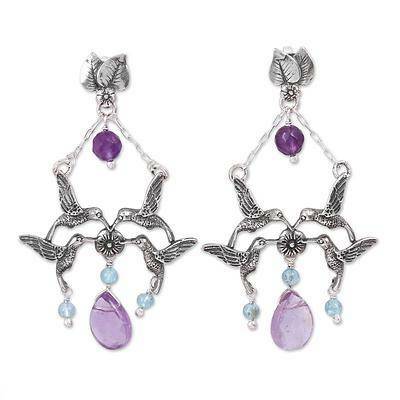 Hummingbirds swing from luminous hoops as garnet dewdrops bathe blushing roses in the endearing design of these earrings. Designed by Jenny Setiawan, the sterling silver earrings are crafted by hand with amazing detail and 3 glowing gemstone carats. 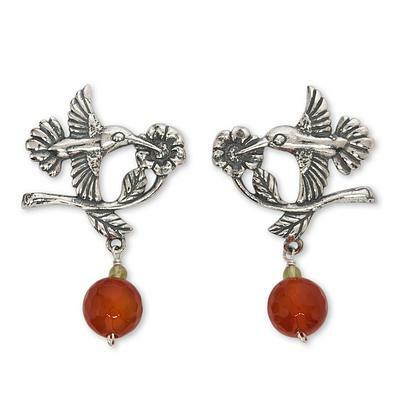 Symbolizing timeless joy, hummingbirds inspire Alon Diller to design these earrings. 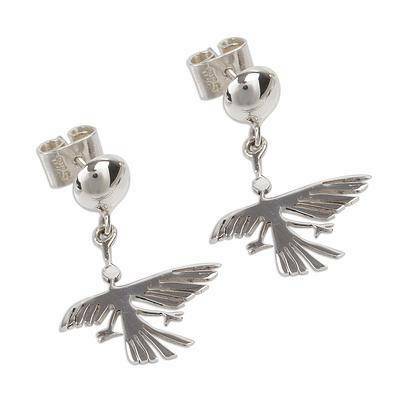 They are crafted by hand with silver featuring oxidized contrasts to mark the feathers. 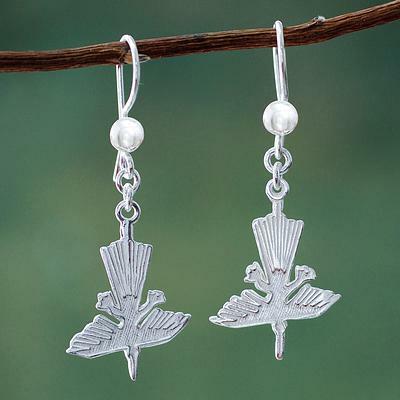 With a whir of rapid wings, hovering hummingbirds form sterling silver earrings. Revered by the Aztecs, the birds were thought to embody the souls of dead warriors. Gianluca Anzani creates a delightful fashion accessory with Mexican flair. 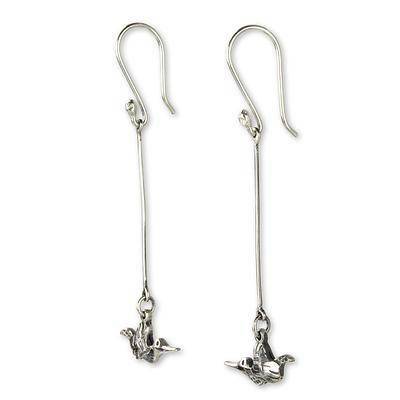 Sissi Bernal shares the mystical beauty of the legendary Nazca hummingbird through the design of these earrings. 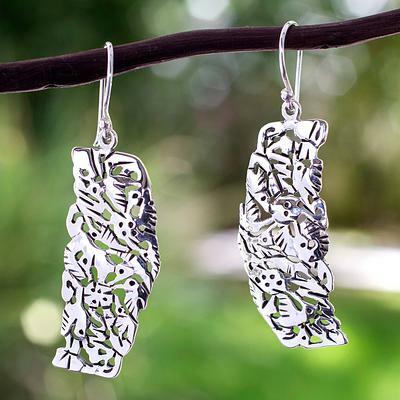 Handcrafted of sterling silver, the earrings feature contrasting finishes and textures. Hovering over glistening petals, hummingbirds capture Alon Diller's imagination. Hummingbirds symbolize joy, love and beauty. 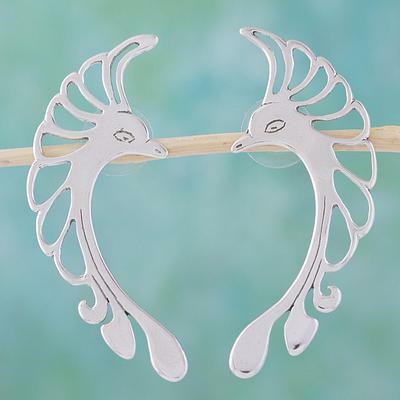 Many of them appear in a pair of silver earrings crafted by hand with lost wax techniques. 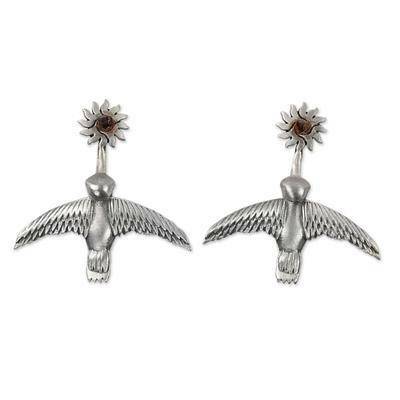 The famous Nazca hummingbird comes to life in earrings, revealing the sensitive artistry of Peru's ancient peoples. 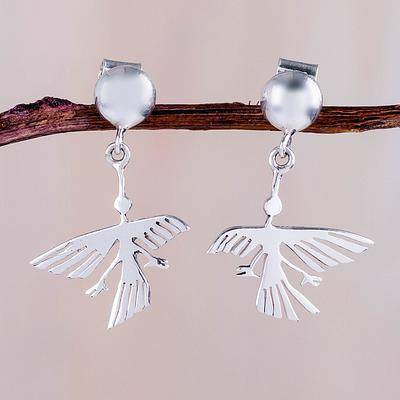 From Carmen Granados, the shining earrings are handcrafted of sterling silver. Lupita Betancourt designs earrings of Mexican beauty featuring hummingbirds flying toward florid suns. According to the ancient Mexica, the soul of a warrior would become a hummingbird or huitzitzilin, and accompany the sun from dawn to noon. 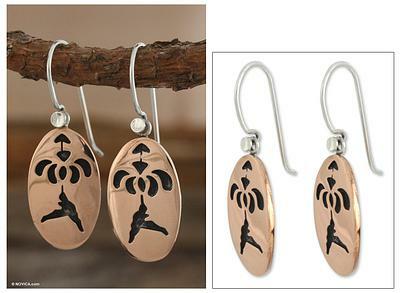 Betancourt's earrings are crafted of sterling silver with oxidized contrasts. Chips of Mexican amber lend their warm glow to the earrings' sunny motifs. 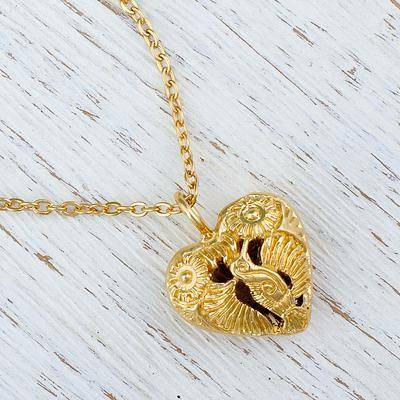 An elegant heart is crafted with bronze bathed in 22k gold. 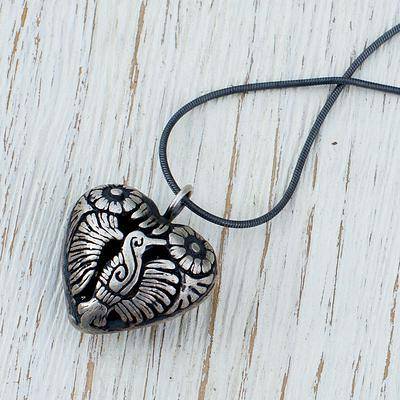 Designed by Mexican artisan Mariana Barranco, the pendant features an open hummingbird shape with floral motifs that reveal the heart's interior. 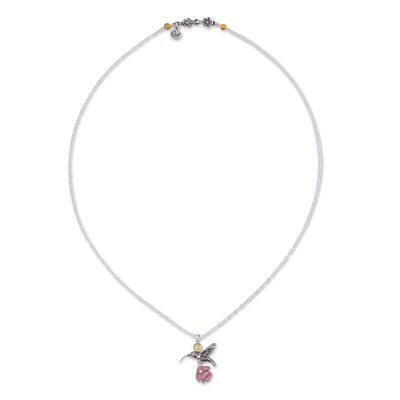 Barranco presents this pendant necklace on a length of cable chain, finished with a petite garnet stone at the clasp. 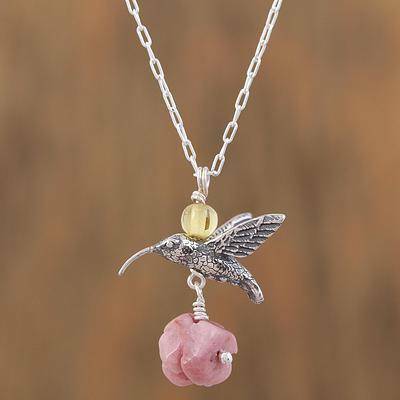 Under a golden amber sun, a lucky hummingbird finds rich nectar in a rhodochrosite rose in a necklace of vintage Mexican elegance. Flora María designs the sterling silver necklace featuring leafy accents near the clasp and an oxidized finish for an aged effect. 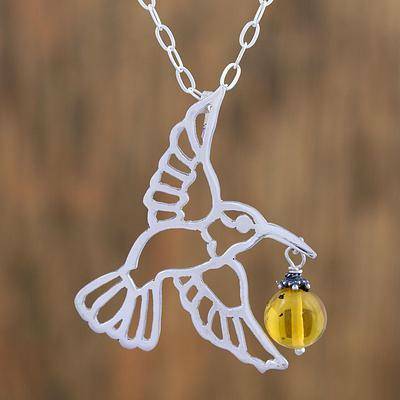 Carrying a small bauble of natural copal, a resin similar to amber, a majestic hummingbird is crafted of sterling silver for this Mexican necklace. Designed by Francisco Sanchez, the pendant centers a length of cable chain. 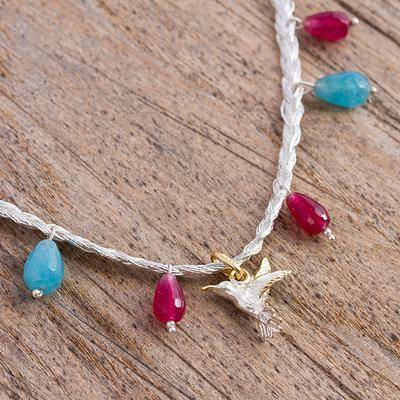 For the members of Peru's Quispe Family, hummingbirds signify love, happiness, and beauty. 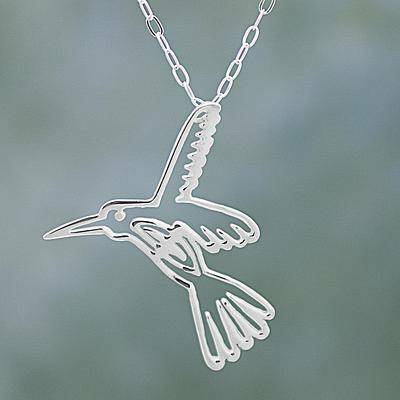 They craft a stylized hummingbird of sterling silver that gleams in the light. 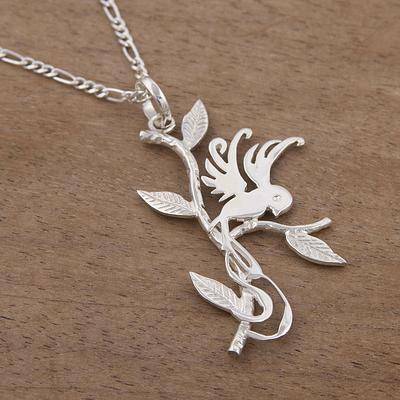 Centering a length of Figaro chain, the lovely bird perches on a leafy branch. 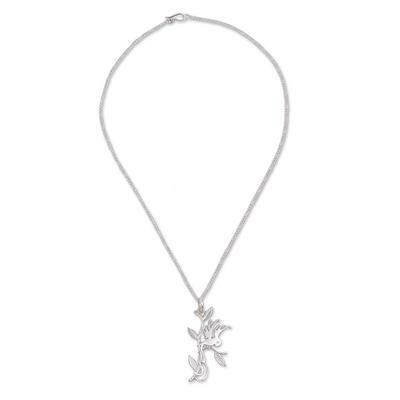 Crafted of sterling silver, a lovely hummingbird dangles from the pendant of this necklace as it explores a flower. Marco Molina designs this Mexican pendant necklace, circling the neck with oxidized sterling silver Cuban link chain punctuated with polished beads. 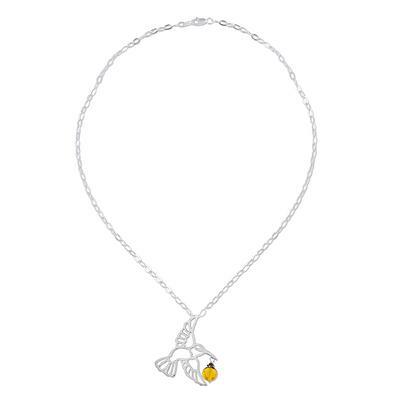 Symbolizing timeless joy, hummingbirds inspire Alon Diller to design this necklace. 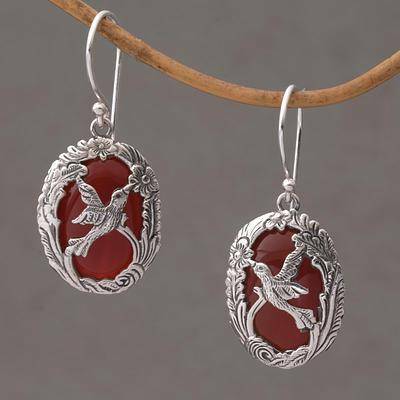 It is crafted by hand with silver featuring oxidized contrasts to mark the feathers. 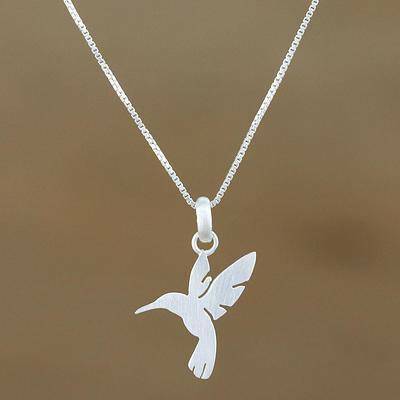 With quickly whirring wings, a hummingbird comes to life in sterling silver. Jenny Setiawan designs a unique necklace that is meticulously crafted by hand. Hovering over glistening petals, hummingbirds capture Alon Diller's imagination. Hummingbirds symbolize joy, love and beauty. 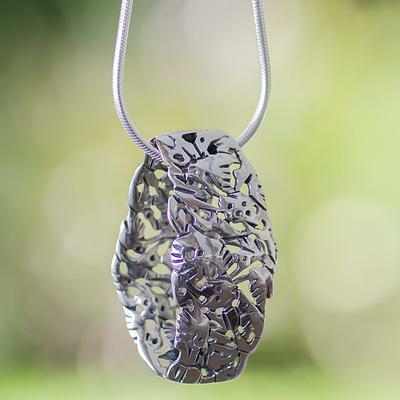 Many of them appear in a silver pendant crafted by hand with lost wax techniques. Textured cords encircle polished globes, evoking the nests of tiny hummingbirds. 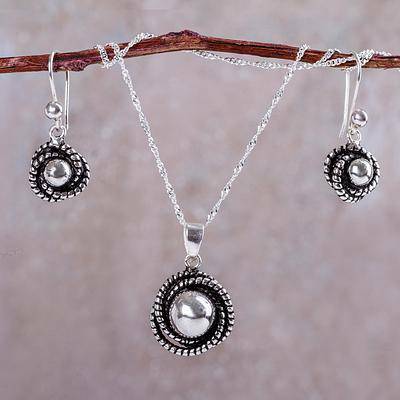 From Peru's Luis Banda, this delightful set of necklace and earrings is crafted by hand of Andean sterling silver. 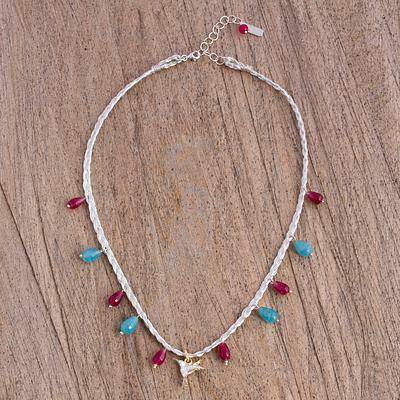 Blue and red agates line a silver chain in this lovely pendant necklace from Mexico. 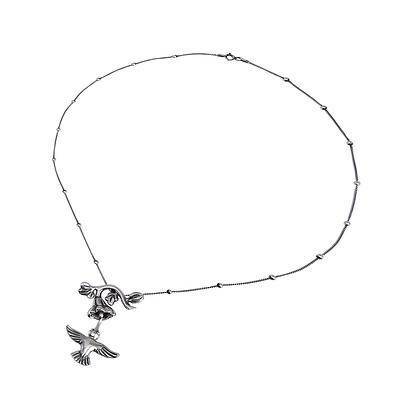 By artisan Alejandra Torres, the necklace is marked with a small sterling silver hummingbird pendant. 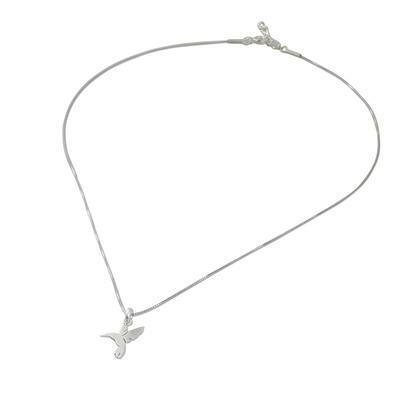 Crafted of sterling silver with an elegant brushed-satin finish, a fluttering hummingbird centers this necklace from Thailand. Jantana designs the necklace, choosing a length of box chain to circle the neck. 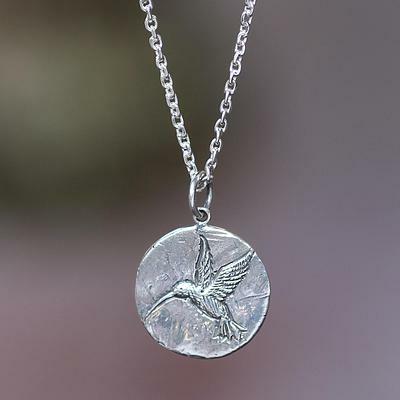 Crafted of sterling silver, this Mexican necklace features an original design by Mariana Barranco, who has been involved in jewelry crafting her whole life. 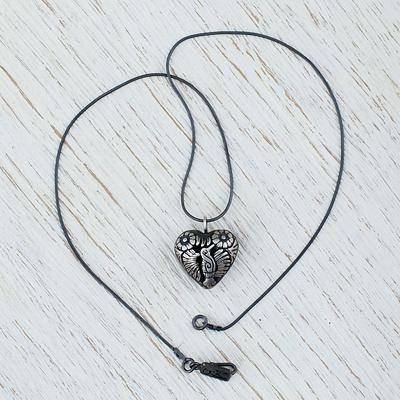 She works with local artisans to craft a pendant in the shape of a heart with floral motifs alongside the image of a hummingbird, hanging at the center of a length of darkly oxidized snake chain. 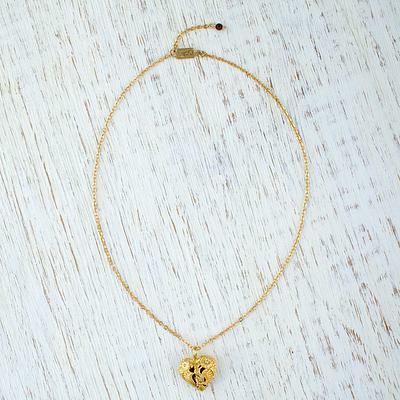 The artisan names this necklace after Tuxtepec, one of Mexico's most populous cities. Following in the footsteps of his father, Mexican artisan Francisco Sanchez works alongside his family to produce beautiful pieces of original jewelry. 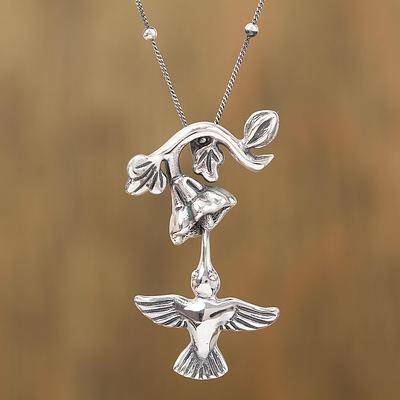 He handcrafts this pendant necklace from sterling silver, forming the pendant in the shape of a hummingbird in flight. Hovering over glistening petals, hummingbirds capture Alon Diller's imagination. Hummingbirds symbolize joy, love and beauty. 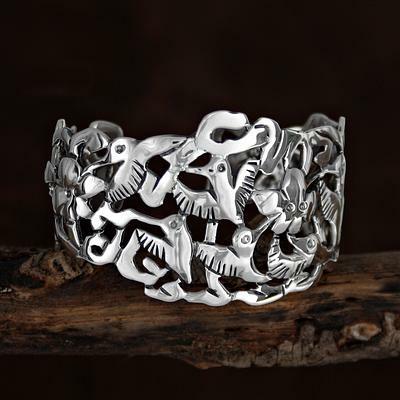 Many of them appear in a silver cuff bracelet crafted by hand with lost wax techniques. Hovering over glistening petals, hummingbirds capture Alon Diller's imagination. Hummingbirds symbolize joy, love and beauty. 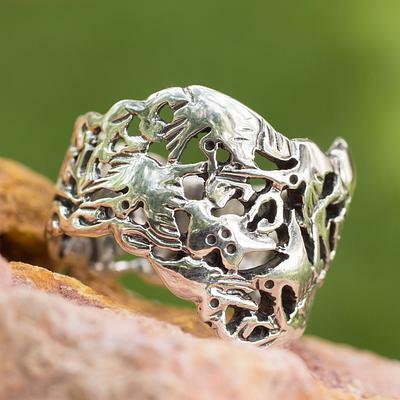 Many of them appear in a silver ring crafted by hand with lost wax techniques. 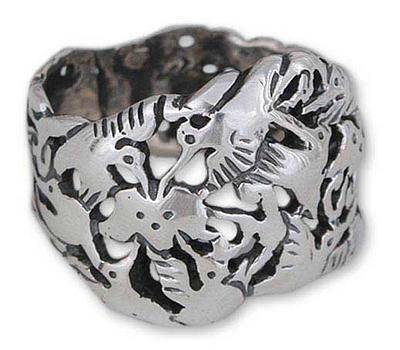 Amparo Guerra invokes the renowned Nazca hummingbird in this stunning ring. 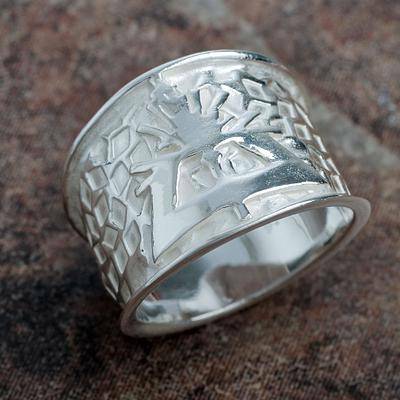 Working in sterling silver, she creates the image in low relief.